AFC Energy (AIM: AFC), a leading alkaline fuel cell power company, is pleased to provide a commercial update for the period ended 31 October 2018. AFC Energy has now successfully concluded the majority of engineering design to bring to market its first commercial fuel cell system. The system will have a low cost per kWh compared to alternative generating systems, partially as a result of its ability to use lower quality and less expensive hydrogen sources. In building its Go-to-Market strategy, AFC Energy has been working with a leading clean-tech specialist consultancy to leverage existing commercial activities and establish alternative distribution channels to accelerate future growth. Strong emphasis is being placed by the Company on preparation for commercial deployment and the strengthening of its supply chain in response to the Southern Oil order in Australia and growing interest for fuel cell systems from potential customers in Japan (and other interest from the APAC region). Electrode manufacture: recent test data has indicated that the partnership with electrode manufacturer Industrie De Nora will lead to significantly lower build costs for the fuel cell while increasing the longevity of the electrodes. The composition of electrodes for commercial deployment is now being finalised in anticipation of first customer shipment to Southern Oil. 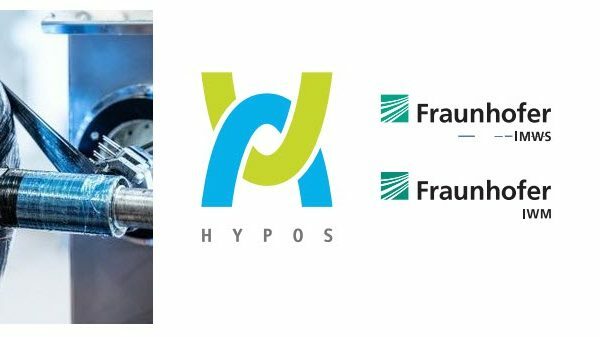 Flow plate and stack manufacture: the selection of a manufacturing partner for the production of the fuel cell flow plates is at an advanced stage and the Company expects to provide an update in the coming weeks. The Company has completed the plate design to optimise flow of gases and liquids to the electrodes. 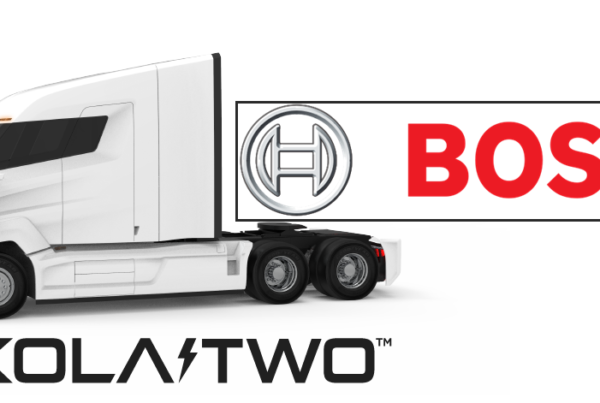 Balance of Plant modularisation and containerisation: contract negotiations are underway to create the first fully containerised Alkaline Fuel Cell system, enabling the first scalable “plug and play” commercial unit with up to 200 kW of power. AFC Energy has established further improvements in electrode longevity and cost reduction through its joint development activities with Industrie De Nora and is in the final stages of confirming an electrode pairing for the Southern Oil project in Australia. These electrodes are expected to be supplied by Industrie De Nora to AFC Energy in Q1 2019, subject to agreement on the terms of a Strategic Electrode Supply Agreement. The Company expects to finalise its appointment of a mass-produced flow plate manufacturer by the end of 2018, following an international competitive tender. The process is expected to result in further cost reductions on a “per part” basis relative to earlier cost modelling conducted by the Company and reinforces the decision by AFC Energy to outsource this key manufacturing activity. The design of AFC Energy's new flow plate has all fuel cell components integrated within a single sub-assembly, which is expected to deliver not only material improvements in system performance, but also a more streamlined and robust quality control function to help eliminate potential failure modes. One of the key advantages of the AFC Energy fuel cell system is its ability for modular and scalable deployment. To this end, the Company has commenced discussions with a leading international engineering and fabrication company whose focus is on optimised low-cost containerisation solutions. This company is currently working with AFC Energy on the design for a 40ft containerised fuel cell system which could deliver between 150 kW and 200 kW of power under a “plug and play” design system. This is an exciting development for AFC Energy as it should result in a productised fuel cell system capable of rapid deployment to any number of locations internationally, as is the case for carbon emitting diesel generation. Completion of these key activities will move AFC Energy closer towards achieving its commercial deployment goals. The commercial availability of AFC Energy's fuel cell systems coincides with growing global interest in and demand for hydrogen-based energy systems. 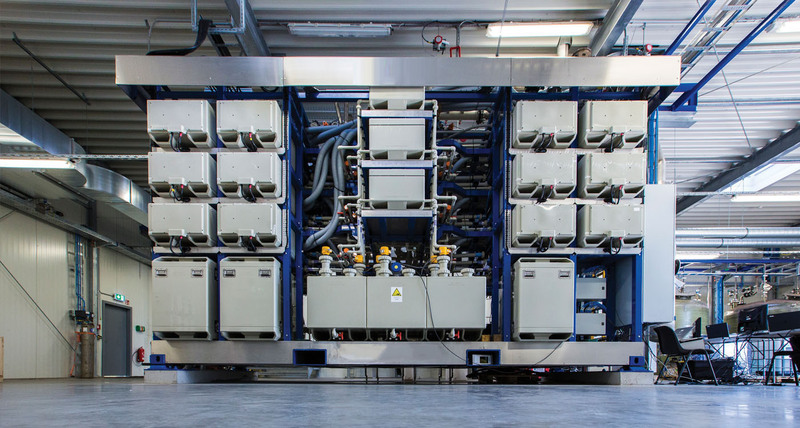 In direct response to growing customer demand for a more compact fuel cell system where footprint and weight are issues in the selection of power generation technologies, AFC Energy, over the past twelve months, has been developing a high-power density alkaline fuel cell which is a variant to the Company's existing technology platform. This version of the alkaline fuel cell is highly complementary to the existing alkaline system, but materially opens the market for deployment in new off grid, or space and weight constrained environments. The Company announced in July 2018 its first Australian project in collaboration with Southern Oil Refinery Pty Ltd (“Southern Oil”). The project is to be located at Southern Oil's Gladstone Bio-Refinery and will be the largest single fuel cell deployment in Australia. This project has highlighted further potential project opportunities for AFC Energy in other parts of Australia with industrial companies and State Governments which are currently being pursued. The Southern Oil project has incorporated an initial engineering study and logistics exercise which has identified key areas for project optimisation and improved efficiencies in design, leading to a potentially lower cost and rescoped solution for both parties. The project, subject to confirmation of final commercial terms, remains on track for delivery to Australia and commissioning within the early part of the third quarter of 2019, with the sale and lease agreement between the two companies expected to be completed in the near future. AFC Energy has also been actively working with the management of Dunsfold Park and the owner of the neighbouring anaerobic digestion plant for the supply of fuel cell systems to the park's development site. The potential to replace stationary diesel generators offers a major market to AFC Energy, but success is predicated on the availability of low cost, sustainable, on site, hydrogen sources. To this end, a review of commercial opportunities over the past 12 months at Dunsfold has identified an opportunity for the Company's fuel cells to be used in place of diesel generation during the construction phase of the Dunsfold Park redevelopment. This would be an important development as it would not only accelerate time to market, but also deliver a reference project with international application to the temporary power market. This is an exciting opportunity for the Company and, whilst delays have occurred in the final permitting and consenting of the development site, the Company is now working with the site's management to progress this project through to its next phase. The potential for AFC Energy to develop a commercial fuel cell alternative to diesel generation could open up a major market for the company in off-grid and temporary power applications. The market for diesel generators will grow from over $17 billion today to $27.3 billion by 2022 according to GlobalData Energy, but the off-grid energy market is under growing pressure to reduce pollution and fuel cells are a clear alternative. The Company announced earlier this year the successful integration of the AFC Energy fuel cell system with an ammonia cracker to generate clean zero emission electricity from low cost and readily available ammonia. This integration has attracted project enquiries from the Middle East, Australia, Japan and the UK for potential applications where diesel generators would be displaced in favour of alkaline fuel cells for stationary power purposes. 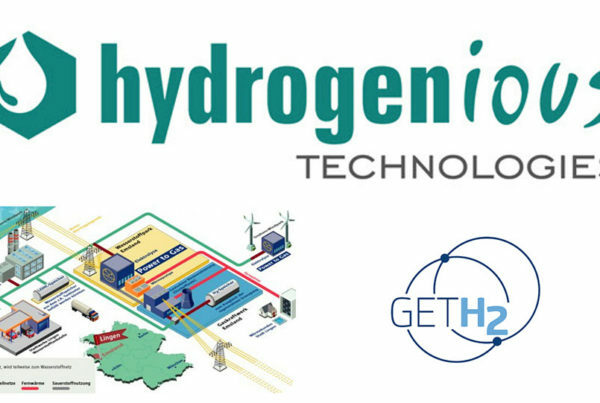 The Company is continuing to explore the integration of its fuel cell system with alternative localised hydrogen generation systems consistent with its objective to provide a single solution for an off-grid power generation system fuelled by locally-generated hydrogen. The initial trials for the integration of hydrogen production conducted by AFC Energy have indicated the potential for short term clean power generation from zero emission hydrogen created on site and with materially less power consumed versus traditional electrolysis. These systems, whilst still in their early phases of development, could have the potential to radically disrupt the power market going forwards which is why AFC Energy is further exploring opportunities to license such technologies for potential integration with the Company's fuel cell system. AFC Energy is now in discussions with several members of the Hydrogen Council about potential strategic partnering with particular interest coming from Japanese industrials due to the low cost and scalability of AFC Energy's fuel cell solutions.